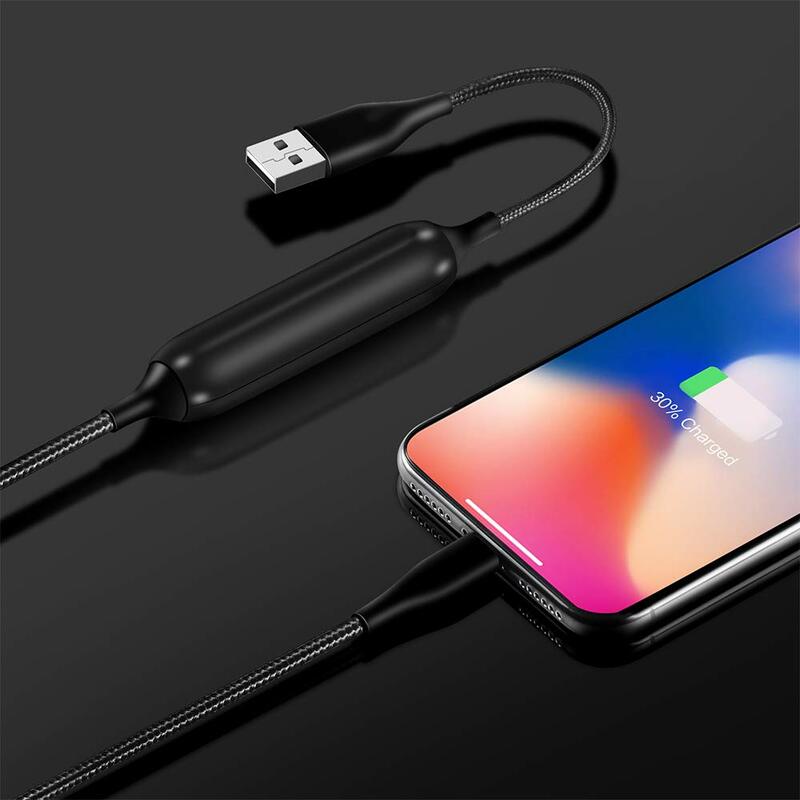 📱 UNIQUE EMERGENCY CHARGING FUNCTION - This charger cord also includes an ingeniously incorporated power bank for that emergency boost of battery life you might need. The internal 800mAh battery can support half an hour's worth of calls, giving you time to charge your phone fully. 📱 SEAMLESS SYNCING – Not to be used just for charging your battery, this cord also functions as a sync wire, syncing data at 480 MB speed when connected to a computer or laptop., making it a truly all in one cable for your convenience. 📱 STRONG & DURABLE - Made with fortified kevlar, a durable PVC jacket, and an ultra-rugged nylon cover, this charging accessory is strong and has been tested extensively over 10000 times to see if it will crack. Each cable also features heat-resistant connectors to ensure complete safety and reliability. 📱 SMART PROTECTION TECHNOLOGY - The usb powered wire charger features an "intelligent protection" programmed motherboard and AAA+ grade batteries to automatically protect your devices from damage due to overcharging, over-discharging, as well as power surges and short-circuits. 📱 COMPACT & PORTABLE - The braided usb charging cord, with its built-in power bank, is lightweight, weighing over just 45 grams compared to standard power banks. This makes it perfect for traveling since it is portable enough to carry in your purse, gym bag or travel bag. NEVER RUN OUT OF BATTERY LIFE AGAIN! Power banks are now a necessity in our gadget dependent world. But with the all the cords and cables and other accessories we bring around with us, a compact, lightweight model is preferred. This unique charging cable contains a built-in battery for your convenience! This unique braided charging wire is also a power source – since it has a built in battery to ensure your smartphone will always have juice! It can also be used to conventionally charge your mobile device via a wall outlet, but it can also just charge the device directly using the built-in battery. This powerful cable is designed not just to charge your device but to also and sync data quickly and smoothly. It can sync data at 480 MB speed when connected to a computer or laptop making it the only smartphone accessory you’ll ever need. Made with fortified kevlar, a durable PVC jacket, and an ultra-rugged nylon cover, this usb powered phone cord is strong and is promised to not fray or crack or peel. Each wire also features heat-resistant connectors to ensure complete safety and reliability. The braided charger wire has a state of the art “smart protection” system programmed into it, ensuring that gadgets are not overcharged or undercharged, as doing both can damage your device quicker. It also protects your devices from sudden and unexpected, potentially damaging power surges and short-circuits.